Posted on June 9, 2015 by revivewa	in Features, Travel and Spirituality and tagged 2, Beyond your circle, feature. Throughout March and April this year, 11 students from West Papua immersed themselves in Australian culture as part of the Australian Papuan Cultural Exchange Program. Through this program, the students, aged between 18–25, are able to build-up their English language skills, giving them more opportunities back home. 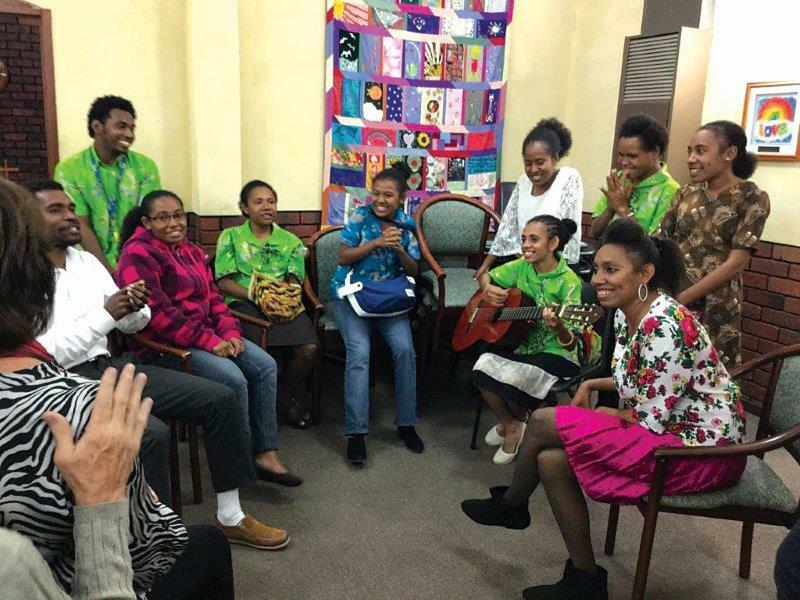 The idea originally sparked within All Saints Floreat Uniting Church after a visit to The Evangelical Christian Church in the Land of Papua (GKI di TP), a partner church of the Uniting Church in Australia. In its third season since 2010, this year the program was run with the assistance of many Uniting Church congregations across WA, including Scarborough, Trinity North, North Midlands and Foothills St Martins. From teachers and conversation partners to host families and bus drivers, this program is no easy feat to pull off – but its rewards are immeasurable. Whilst in Australia, the students lived with host families in Perth, spending their days learning English in a classroom held at the Floreat church. It’s not all hard work though, as they also spent time exploring some of the city’s attractions, as well as heading south to Busselton and north to Coorow for some fun and time-out. Students from the Australian Papuan Cultural Exchange visiting Trinity North Uniting Church. Lee-Anne Burnett, co-ordinator of the program said that one of the biggest ways the church can share in its partnership with GKI di TP is to help people build their English skills. This can have numerous benefits, including professionally, as well as when applying to aid organisations to help with funding for local community services. “Increased English competence increases their prospect of getting jobs in government and increases their empowerment to make change,” said Lee-Anne. Students taking part in the program are already enrolled in English courses back home, on top of their other studies. The idea for travelling to Australia to learn the language, rather than sending teachers to Papua, is so that the students are completely immersed in English for that time and so are not tempted to speak Indonesian – their country’s official language. “They didn’t speak Indonesian at all for three months and their English improved really quickly,” said Lee-Anne. For the volunteers involved, taking part in the program is a rewarding experience. Over the program, host families open up their homes to students, who quickly become just like part of the family – in some cases, calling their hosts ‘mum’ and ‘dad’. Alf Haines hosted a student in his home for the duration of the course, and a second student for part of the course. Having previously hosted students as part of other projects, Alf knew that it would be a rewarding experience. He talks fondly of driving a group from the class up to Coorow for the weekend, as they broke out in song in the car. Many people contributed to the program this year, and their efforts have not been overlooked by the grateful students. Anike Nap is studying medicine in Jayapura, West Papua, and took part in the course this year to help further her studies. She said that the course has vastly improved her English skills. 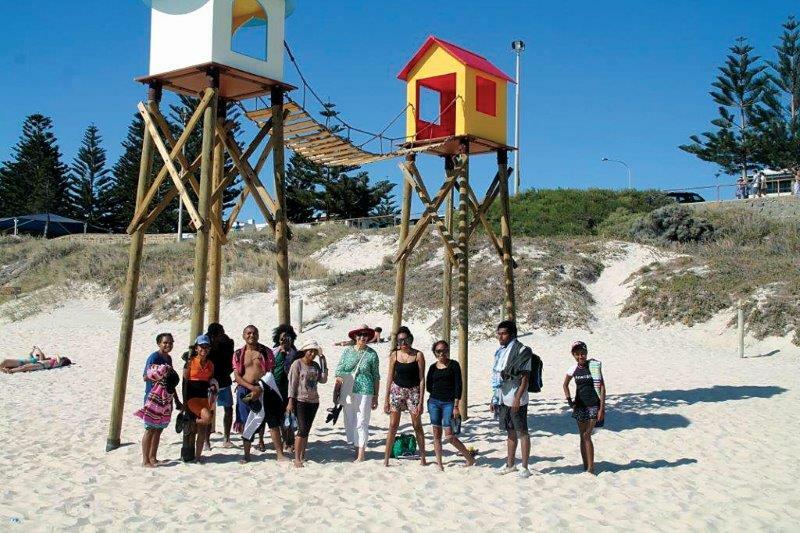 The students took some time out to visit the Sculptures by the Sea Exhibition at Cottesloe Beach. Anike hopes to one day study her specialist degree as a paediatrician in Australia so that, once qualified, she can use those skills back home. “In Papua I find there are not many specialists,” she said. “In the small villages we don’t have doctors or nurses because it’s hard to reach the villages. Sometimes you can find that people die on the way to hospital because it’s hard to reach the hospital.